Exporter of a wide range of products which include red mastic tape, mastic tape, rubber mastic tapes, stress mastic tape, black mastic tape and butyl mastic tape. We are manufacturing and supplying Red Mastic. This tape is use for insulation in Cable Jointing Kits to prevent it from Corrosion to metal materials; it has got outstanding Thermal insulation property and excellent resistance to water, moisture, base climate and temperature. Mastic Tape are designed basically to adhere to a wide range of surfaces for sealing, vibration dampening and effectively prevent passage of air, moisture and dust between two components. The Prices of the product varies as per the drawing ,design, dimension & specification of product. 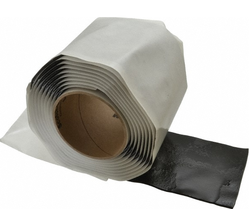 Leveraging on our experience, we trade and supply a wide range of Rubber Mastic Tape. Provided tapes are manufactured using quality approved material and sophisticated technology, in sync with international norms of the industry at vendors' end. We provide our entire range in different specifications, in order to meet varied needs of clients. 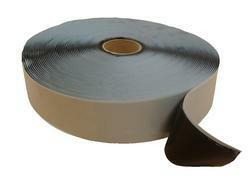 We are manufacturer and supplier of a wide range of Stress Mastic Tape. Provided tapes are manufactured using quality approved material and sophisticated technology, in sync with international norms of the industry at vendors' end. We provide our entire range in different specifications, in order to meet varied needs of clients. We are manufacturing and supplying Black Mastic. This tape is use for insulation in Cable Jointing Kits to prevent it from Corrosion to metal materials; it has got outstanding Thermal insulation property and excellent resistance to water, moisture, base climate and temperature. 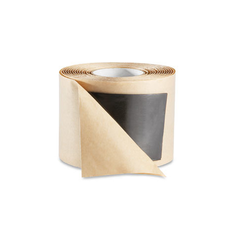 We are offering Butyl Mastic Tape such as Black Mastic, Red Mastic and Stress Control Mastic. 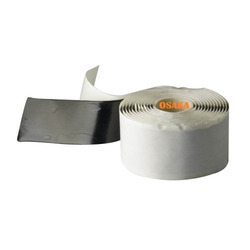 This tape is use for insulation in Cable Jointing Kits to prevent it from Corrosion to metal materials; it has got outstanding Thermal insulation property and excellent resistance to water, moisture, base climate and temperature.